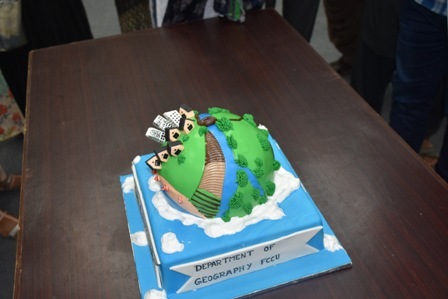 On Thursday 17 November 2016, Geography Department and Dean Geographical Society (DGS) organized an Online Geo-Mapping competition and celebrated GIS day. 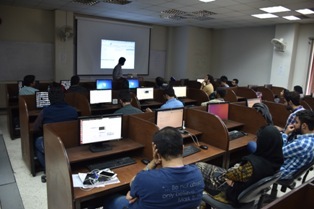 Online Geo-Mapping competition was hosted in collaboration with Open Humanitarians organization. Mr Usman Latif, Director Open Humanitarians, trained the students for the competition. 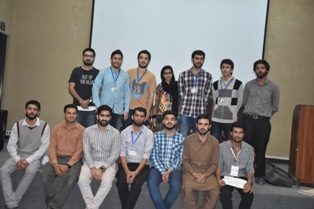 The faculty of Geography and external GIS expert Mr Nasir Ashraf participated as trainers in this competition. Geographical Information System (GIS) has been a core subject of Geography and GIS day is celebrated on 16th November each year worldwide. 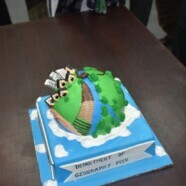 GIS day was celebrated by cutting GIS cake and the prizes and certificates were distributed to the winners of the competition in the same event. The event proved to be very informative for the students because of hands-on practice on online maps.